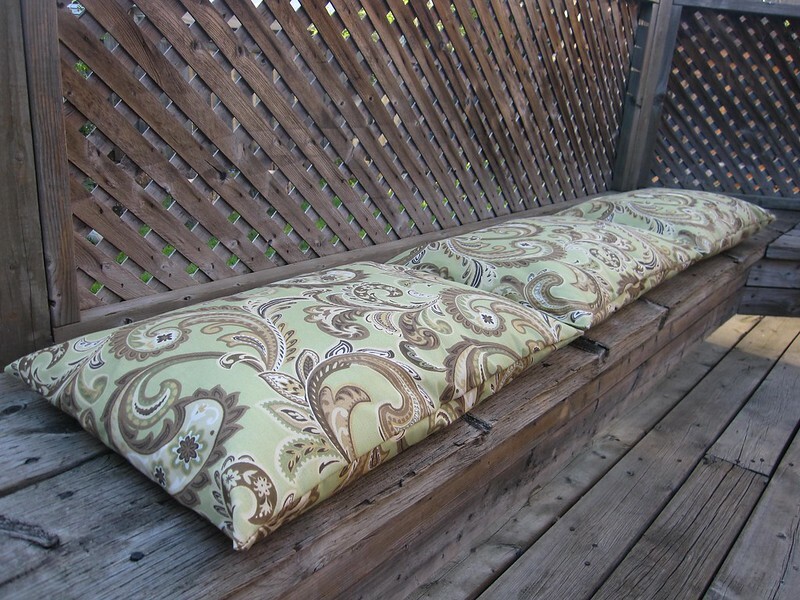 patio pillows | i made it so. we have a deck in the backyard and the wood seating that is built in has started to crack slightly with age. not enough to replace everything, but enough to make sitting uncomfortable. i’ve been browsing through stores that have all their colourful spring and summer patio furnishing on display. everything is so bright and inviting. but i just can’t bring myself to spend $39 on one patio cushion. if it was hand-made, one-of-a-kind? absolutely! from a big box store? no way. 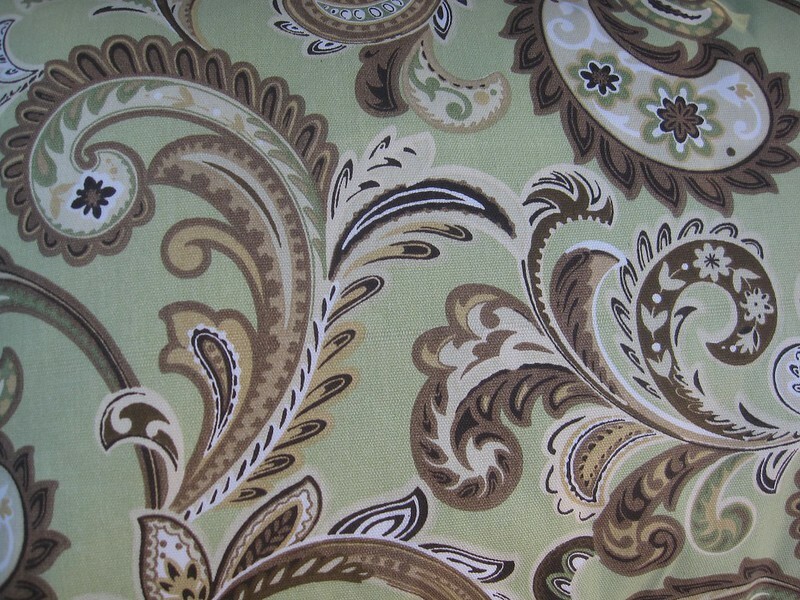 but then, outdoor upholstery fabric can be pricey too. so when i saw some $18/metre fabric on sale for $6/metre at fabricland, i bought up a couple of metres. i got some pillows from jysk ($2.99 each) and sewed up some cushions. the most basic pillows are best because they don’t have a lot of filling. they’ll be easier to sit on if they’re less fluffy. and straight line sewing made this a quick and easy project. thanks to the wide width of upholstery bolts of fabric, i have enough left to make a couple more cushions. they happen to fit perfectly on the back of my other bench too. i like how they turned out. and despite the crazy weather on mother’s day, the sun is out again today. i’ll try and head out onto the bench for a cup of tea. without fear of splinters. and hail. 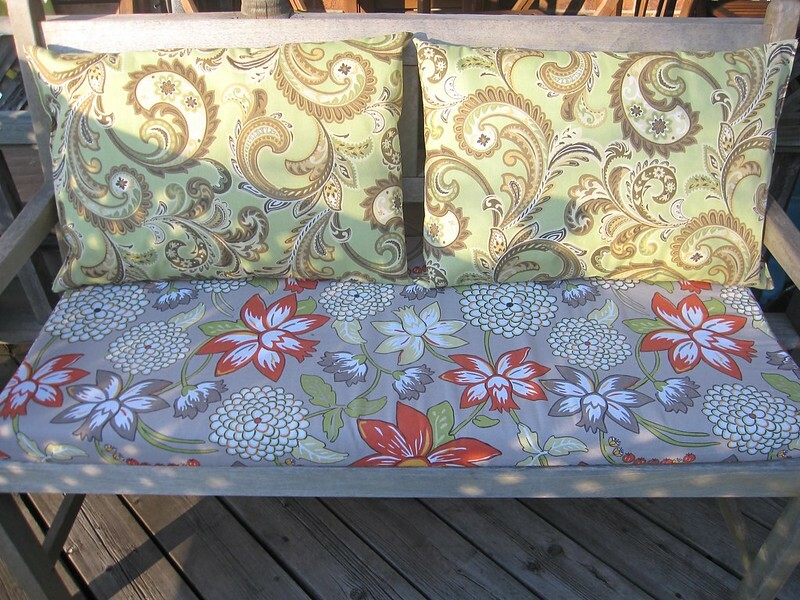 This entry was posted in around the house, sewing & fabric arts, tools, tips and techniques and tagged easy diy patio cushions, pillow forms for patio cushions, upholstery fabric. Bookmark the permalink. They look so classy, Ana!